Look at the pictures, read the captions, skip to the summary to get ready for the test. First impressions count a lot. And this is a good one. There was a time when nearly every town had a theater. 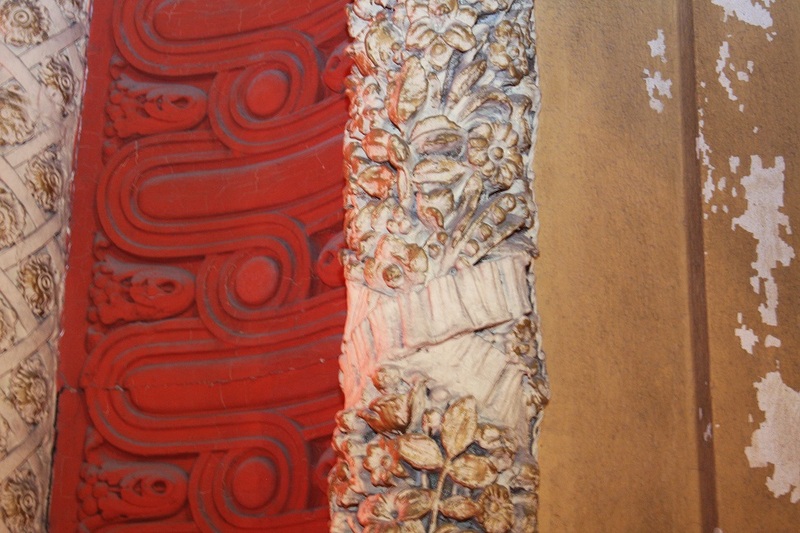 They were a point of civic pride, oftentimes being the most ornate building in town. No, these were not some warehouse looking building like modern cinemas, with one big white wall where a step-great-grandkid of the Magic Lantern flashes moving pictures. These were a proper Theater. 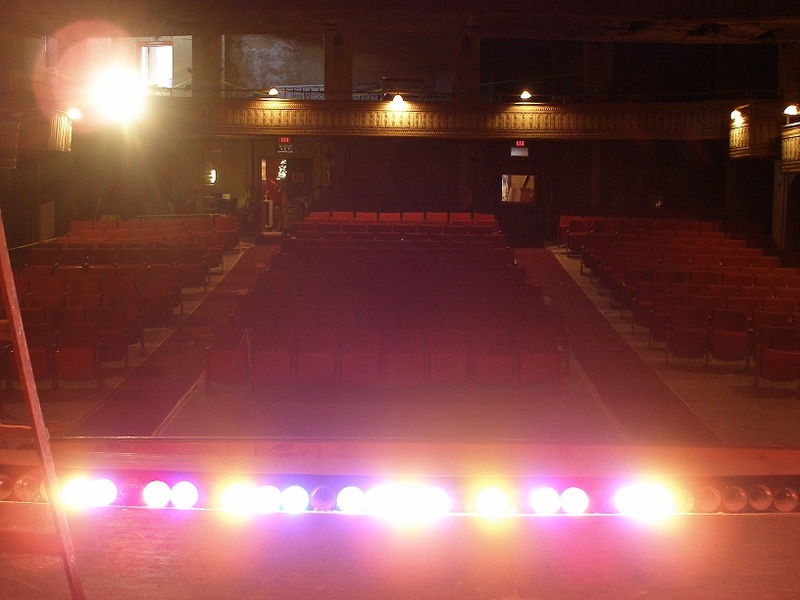 Where the words "proscenium arch" can be used without shame and where stage lighting involved more switches than the vanity mirror in a modern home bathroom. A lot of these palaces to the arts began life as an opera house, more particularly, Grand Opera Houses, which meant that 'grand operas' of four or five acts, with orchestras and large casts were performed rather than light opera, or operetta, or other live entertainment that wasn't quite as 'grand'. 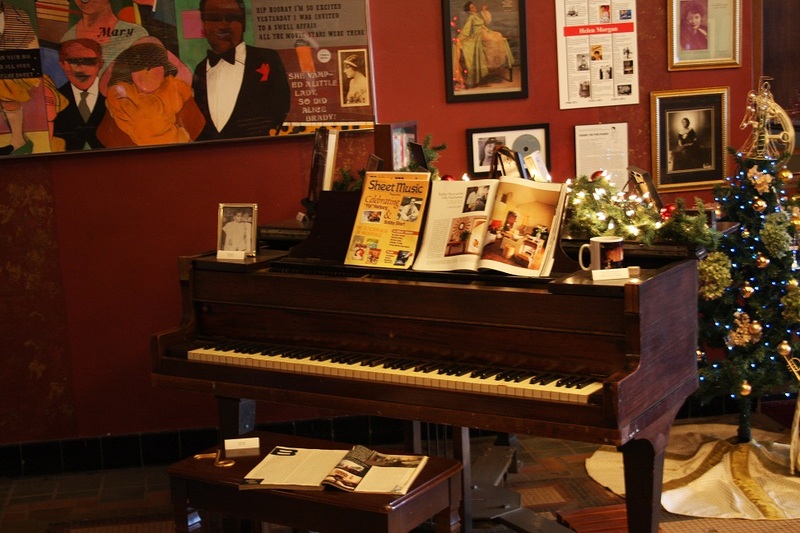 This musical instrument and its memorabilia occupy a spot of honor between the exhibits for Bobby Short, the great entertainer that turned a two week gig in New York into a thirty five year career, and Helen Morgan, the singer as well as stage and screen actress who may be best known for her run in "Show Boat" on Broadway. Many of these were monuments to every architectural style this side of Baroque built to impress more than to make a statement about style ended up falling first out of use, then to wrecking balls, or in a few cases, they were re-purposed after fires or bankruptcy to the point where only the shell was left. Small towns built performance venues that could very nearly seat everybody in town. They don't build them like this any more. Fortunately, the superstructure is sound, so it can be restored. As you can see, around the turn of the last century, they did this one right with two balconies and all the plasterwork detail you could ever want in a theater. And, in 1884, Danville, Illinois was no exception. First it built an opera house, then in 1912 one Mister Fischer enlarged it and turned it into what today would be called a 'multi-purpose venue'. It was spectacular inside, going to the Theater was an Event. People dressed up to go soak up the atmosphere and be part of the event. Well, they did. For years and years. 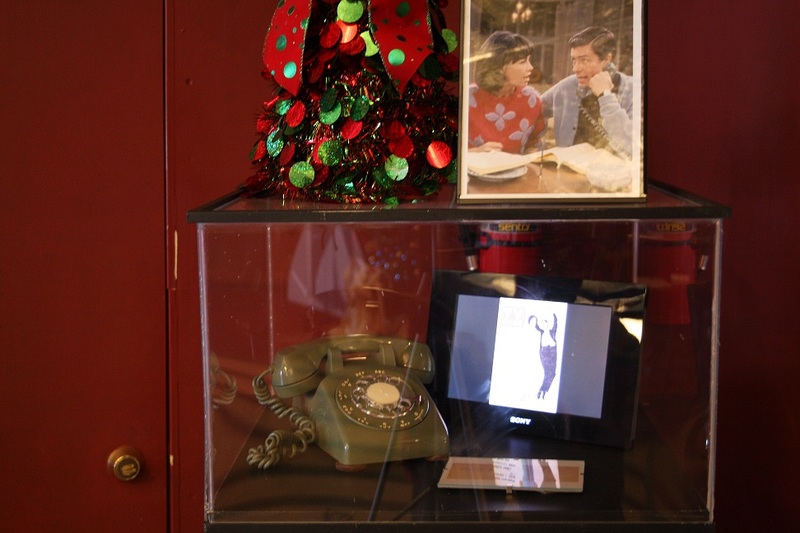 In fact, one of the former managers of the theater, before he went off and got a better job, and won a couple of Academy Awards along the way, started out at the same Elementary School that the Desk attended. So maybe there is hope for the Desk after all, look what it did for Gene Hackman. And that is enough history lesson for now, there's more on their website, link below. 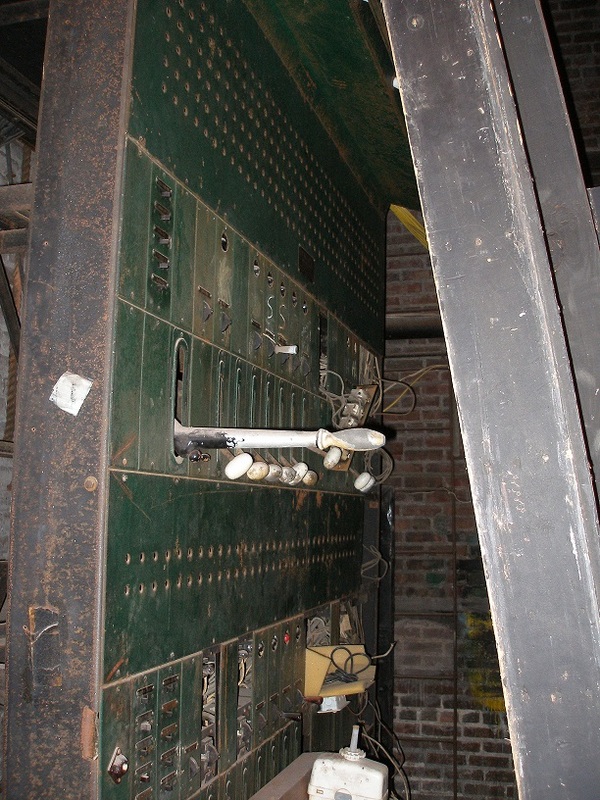 Much of the lighting and rigging in the old place has had it. But some of it still works. The Desk remembers seeing 'second run' films for one dollar in the nineteen eighties in the Fischer. Not long after that the grand old lady closed for good. And so it sat. Decaying. All but forgotten. According to one of the volunteers, there's times when you can still smell the popcorn in the old refreshment stand area. 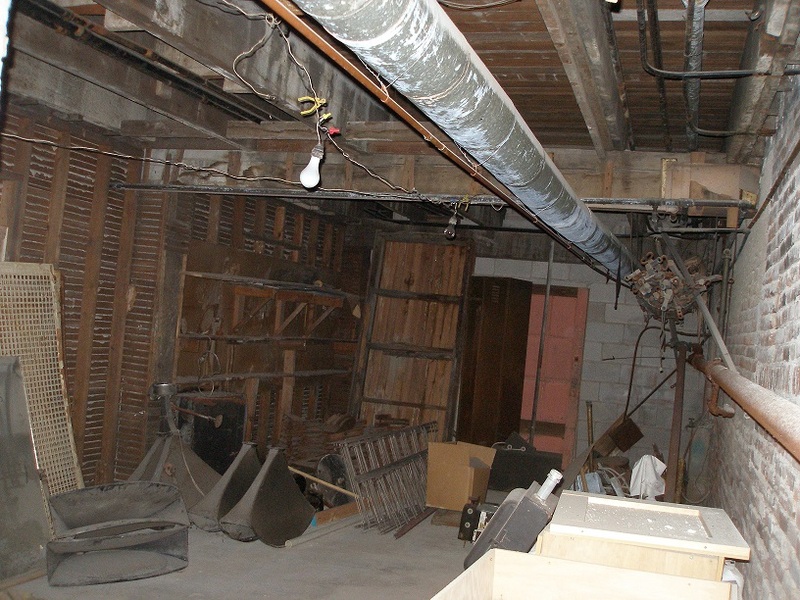 The area under the stage. Some of this... this... ahhh.... junk, probably hasn't seen the outside world for sixty or seventy years. 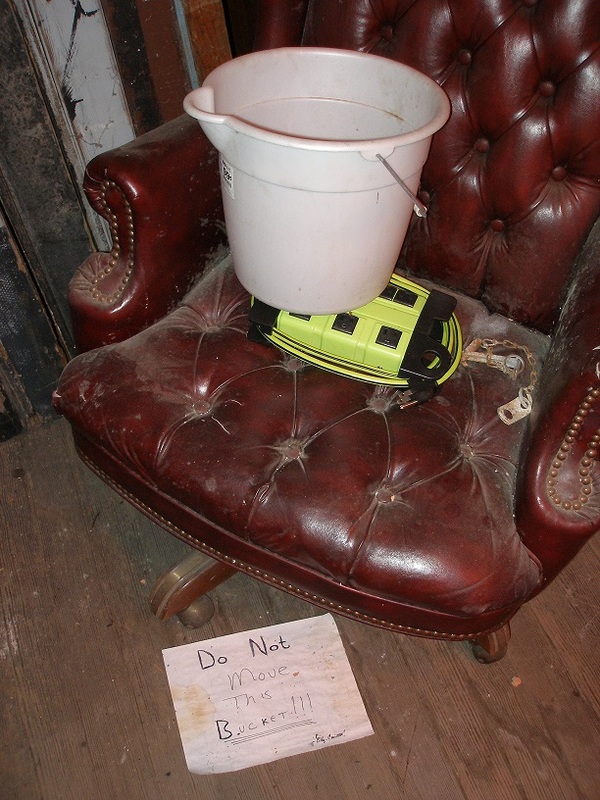 It was only a few years ago that some of this was still in use for special performances. 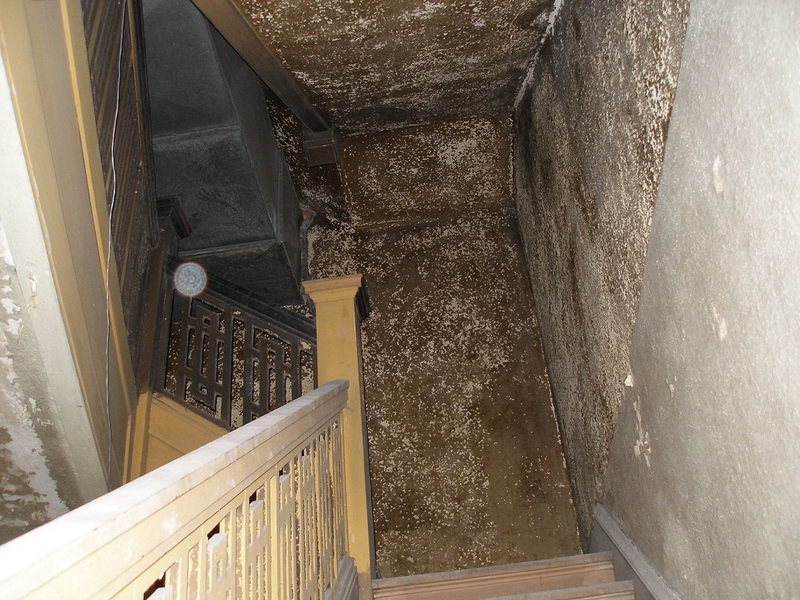 Since then, parts of the building have been declared unsafe. So it all sits and waits. Everything we talked about earlier is still there. The ornate arch over the stage and screen. The woodwork on the balcony and the boxes along the side. The orchestra pit. 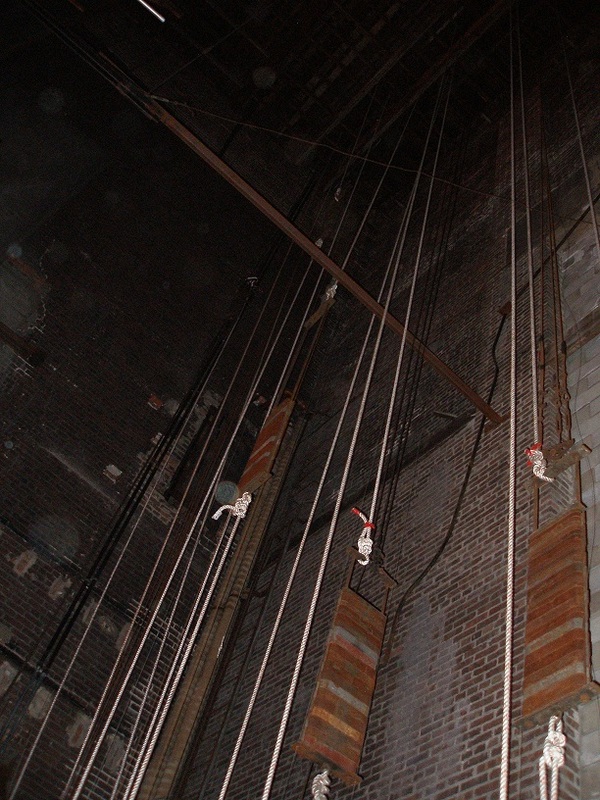 The dizzyingly high rigging over the stage with ropes and pulleys still there. The ancient lighting array. And, as rumor has it, a ghost or three. During the shoot, the Desk and Mrs. Desk took a lot of photos using high power flash units. 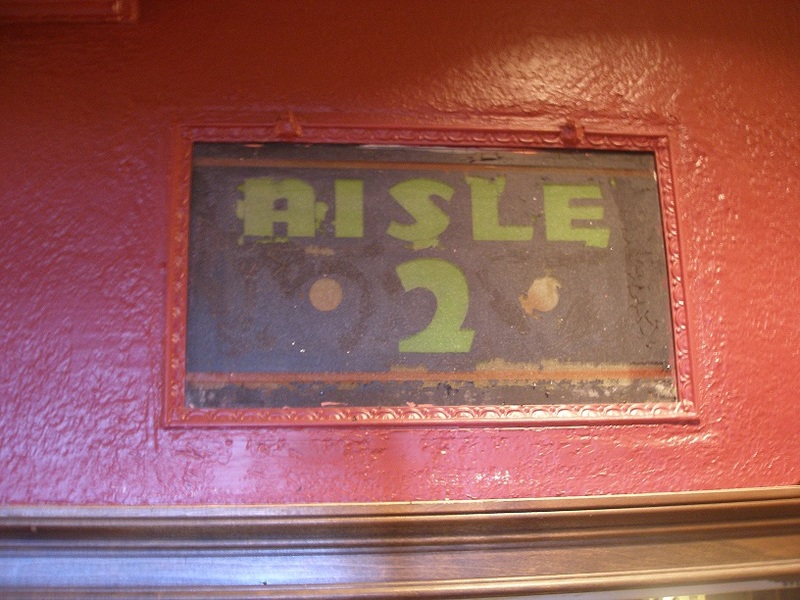 This shot, only cropped for size, was taken by the Desk in one of the old stairways in the theater. Is that thing on the left of the railing an orb, or a lucky spot of dust that reflected the flash? It is not in either of the other two shots of the stairs. Perhaps you can find out attending one of the Fischers' "ghost hunts". And now. It is time to restore it. 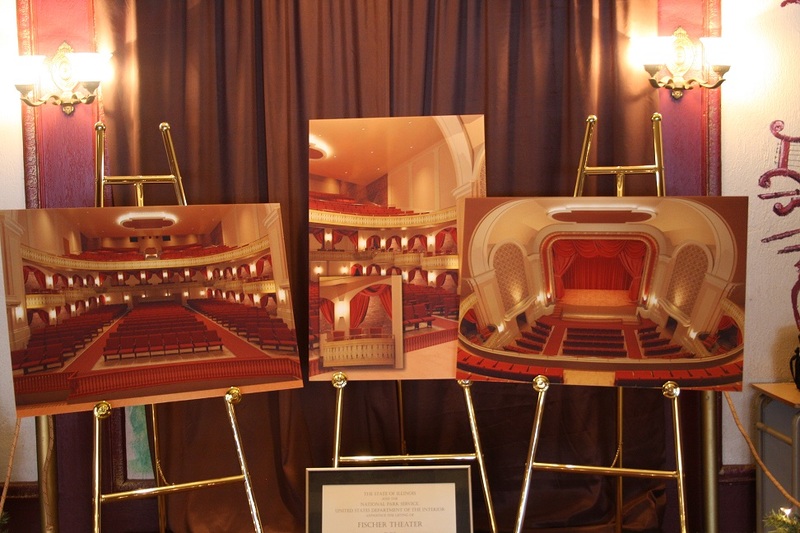 Restoration plans for the auditorium. 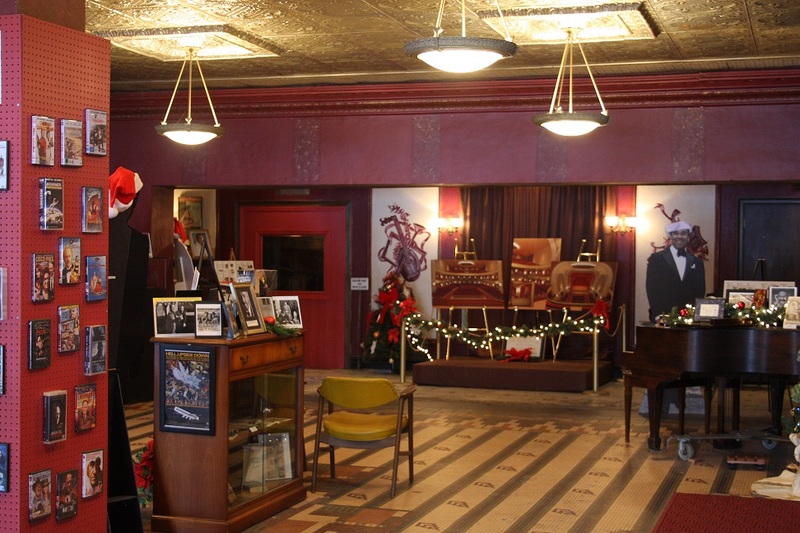 If you like old theaters, you'll love this one. 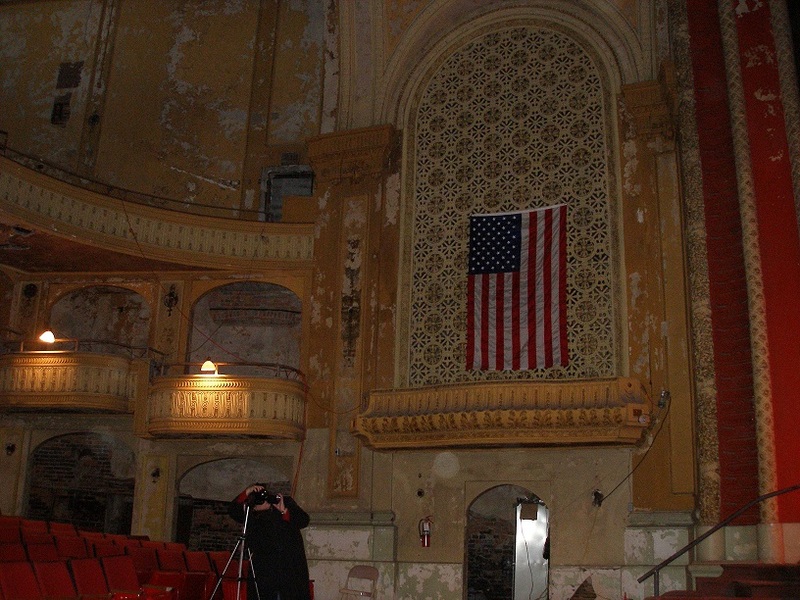 When the work is done, the old 'Grand Opera House' will be a center for the various performing arts of both stage and screen, and a museum dedicated to the entertainment industry. One of those pictures only the Desk will take. NOTE: The words "Fischer Theater" and all related identifying names and marks are properties of their respective owners. The Media Desk is not affiliated or otherwise attached to any of them. All photos taken by the Desk as described above and are property of the author. The Media Desk is a registered fully qualified domain operating as a Journalistic outlet. Opinions expressed are those of the author and not necessarily those of anything affiliated with the carrier or its affiliates.